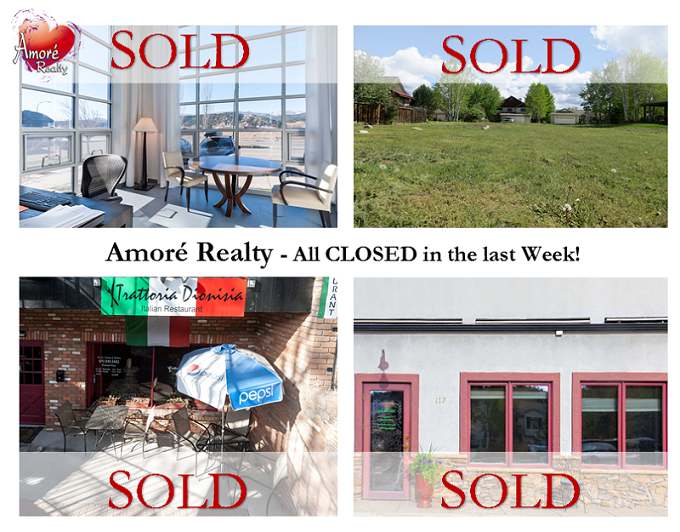 All Closed in the Last Week! What do these four properties have in common? All four of them closed within the last week! Each photo has a story with widely different people moving towards the same thing, making their dreams come true. From investment opportunities to young entrepreneurs, first time buyers to people building their forever home, we at Amoré Realty were able to come along side and help them. Our brokers are experienced, knowledgeable and work hard. We help people, that’s our Business. Call us at 970-963-5177, let’s get your dreams moving forward.